With the notion of beauty, I took shower. Thinking that many people are obsessed with the sense of beauty. It produced SOB acronym. Then “smear” came to add more meaning in how God’s creation falls due to the first sin committed by Adam and Eve. Fat people are obsessed to lose weight. Thin people are obsessed to gain weight. Slim and slender people are obsessed to maintain their weight. That was how SOB acronym came into mind. Thanks for reading my poetry and hope this poetry minister and bless you. Posted in Acrostic, Metaphor, Poetry and tagged Abba, Adam, beautiful, beauty, Bible, Christ, control, Creation, Creator, Destruction, Eve, Eyes, Eyesight, Fall, Father, Fire, Full, God, Heart, Heavenly, Hell, Holy, Immanuel, Jesus, Lord, Messiah, Obsess, Parasite, Saviour, Scripture, Sense, Sin, Smear, sob, Son, Spirit, Word. Bookmark the permalink. Quest and curiosity came to my mind when I was curious of solve problem with my computer. So the quest to solve it gave me the acronym of QC. Thanks for reading my poetry and hope this poetry minister and bless you. 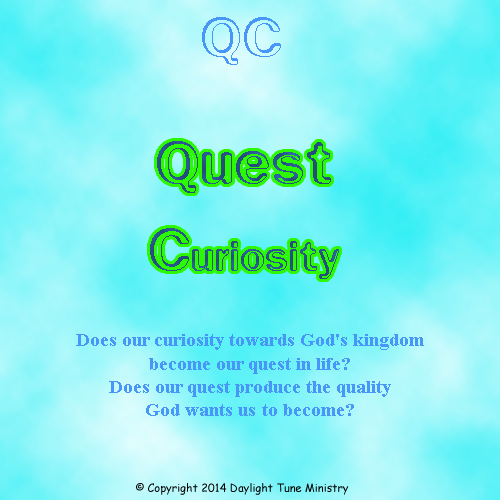 Posted in Acrostic, Poetry and tagged Abba, Become, Bible, Christ, control, Creator, Curiosity, Father, God, Heavenly, Holy, Immanuel, Jesus, Kingdom, Lord, Messiah, QC, Quality, Quest, Saviour, Scripture, Son, Spirit, Word. Bookmark the permalink. Struggling to cope with my work and family life, defining cope challenged my brain. Thankfully, words were dropped into my head. Really thank God for this. And thank you to you all for reading my poetry and hope this poetry minister and bless you. Posted in Acrostic, Poetry and tagged Abba, Bible, Christ, control, Cope, Creator, Effective, Father, God, Heavenly, Holy, Immanuel, Jesus, Lord, Messiah, Productive, Saviour, Scripture, Son, Spirit, Word. Bookmark the permalink. Posted in Poetry, Rhyme / Rhythm and tagged Abba, Christ, control, Dark, Destruction, dispel, eternity, Father, Fear, Gear, God, Havoc, hear, Heavenly, Holy, Immanuel, Jesus, Life, Lord, Love, Messiah, Obey, Poetry, Rhyme, Sin, Spirit, Will. Bookmark the permalink. When the painful moment occurred, I was enjoying my play with my three years son. We were playing his favourite kitchen toy set. Dashing into my brother’s room to offer a cup of coffee. Running to and fro. Putting the pans back onto the stove. A quiet brute force knocked onto the back of my spine playfully. Extremely painful. Enough to let tears well up in my eyes. My mother in law appeared and scolded him. Leading him to run towards my mother, but she rebuked him gently. Dashed into my mother’s room. Hiding behind the bed feeling guilty (I guess). Upon the pain was gone, my hands lost strength when I attempted to turn door knob. Waiting for a few minutes, my strength returned. I gently spoke to my mother in law to let the matter rest since he is still young. Approaching my guilt-stricken hiding son behind the bed, he seemed hesitant to come out. Fearful of his predicament. Thank God for the understanding that he is still so young and the compassion He instilled upon me. Embracing my son, gently reason with him, and explain spine was the most sensitive part of the body. Nobody should hit such vulnerable section. No hitting spine and don’t let anybody to hit his. Finally, he came out and embraced me. Posted in Free Verse, Poetry and tagged 3, Christ, Coffee, control, Cup, Dash, Embrace, Fruit, Galatians, Gentleness, God, Goodness, Grandmother, Heart, Immanuel, Incarnate, Incident, Jesus, Joy, Kindness, Kitchen, Knock, Longsuffering, Lord, Love, Messiah, Needy, Occur, open, pain, Painful, Patience, Peace, play, Playful, run, Scold, Self, Son, Spine, Spirit, Thank, Three, Toy, vulnerable, Years. Bookmark the permalink. How does every tick count in our lives? But do not forget this one thing, dear friends: With the Lord a day is like a thousand years, and a thousand years are like a day. The Lord is not slow in keeping his promise, as some understand slowness. Instead he is patient with you, not wanting anyone to perish, but everyone to come to repentance. But the day of the Lord will come like a thief. The heavens will disappear with a roar; the elements will be destroyed by fire, and the earth and everything done in it will be laid bare. 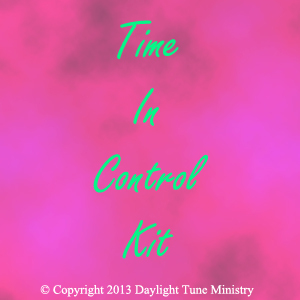 “Time in control” came when I realized I’m in control of my time. And that the Lord blesses us with time. A time for people to repent, accept Him, and love Him through our good works. According to dictionary, tick means a light, sharp, clicking sound made repeatedly by a machine, such as a clock. Posted in Acrostic, Poetry and tagged Christ, control, Creator, God, Holy, Jesus, Kit, Lord, Son, Spirit, Tick, Time. Bookmark the permalink. 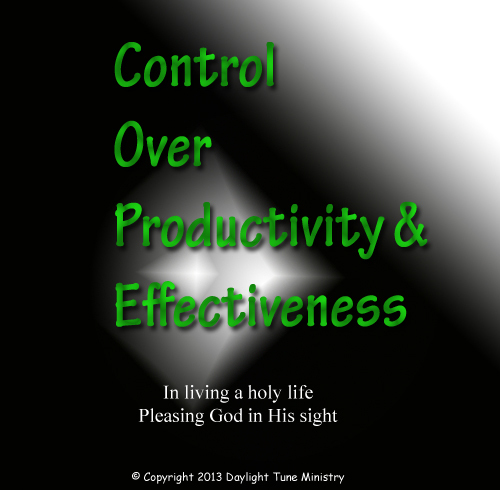 Does control gives us power? Can’t we respect each other’s decision if not harmful? Can’t we respect each other’s boundary? Manipulative hearts, attitudes and actions. “Demands control” came to my mind when I was thinking the bullies. During my primary school, my classmates bullied me. I often felt why I was the one being bullied. Now, as I think back, I’m an Introvert and am very quiet. Is that the reason to bully me? Then “Depressed Character” spoke to my mind. 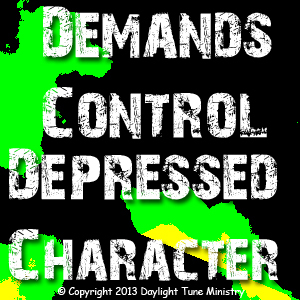 Posted in Acrostic, Poetry and tagged Action, Attitude, Boundary, Bully, Character, Christ, control, Creator, Current, DC, decision, Demand, Depressed, Direct, Disrespect, God, Heart, Holy, Jesus, Lord, Power, Respect, Son, Spirit. Bookmark the permalink. For those who leave your comments at our blog, please check your spam mail for our reply. Thank you and God bless you for your visits, comments and/or for liking our blog. After we receive some response from visitors asking about viewing problems with IE, Opera and some Mozilla Firefox, We would like to clarify that our blog looks best with Google Chrome.